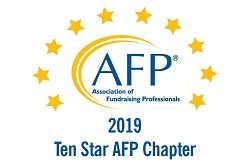 Association of Fundraising Professionals, a Ten Star Chapter! Welcome to the AFP family! 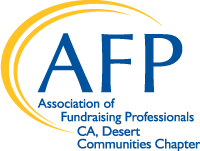 On behalf of the Desert Communities Chapter of AFP, thank you for the dedication you have made to the fundraising profession. By joining AFP, you demonstrate your support to the essential core values and integrity of philanthropy and fundraising. Your individual passions and efforts have created deep impacts to the quality of life in the Coachella Valley and beyond. Together, with your support, we are committed to bringing forward the positive change necessary to build strong, vibrant and healthy communities. Looking ahead, this year we are focused on broadening and deepening our membership. 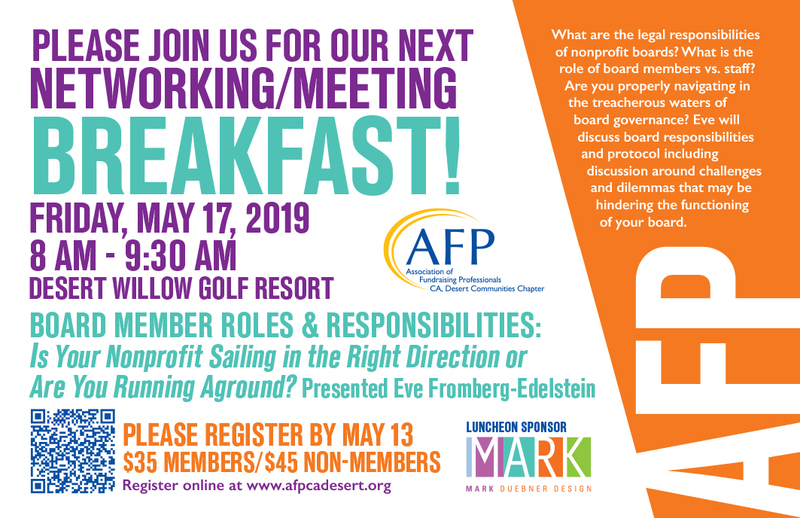 We are excited to offer our members meaningful, relevant educational programs that enhance your fundraising knowledge while giving support to your professional journey. Make sure you check our schedule of programs as we are in new locations. We look forward to getting to know you and welcome you to the AFP family! It is our pleasure to share with you the benefits of AFP chapter membership.